I am in love with Hope Springs. The whole of it. I swear Sarah Eden weaves magic into her books. This book is the second in the Longing for Home series. The characters in this story are well developed. They feel like real people and it makes me feel as if I know them personally. I became emotionally invested and I love when my emotions become part of a book. Katie is still Katie. It would seem she still feels as though she has something to prove and she continues to yearn for the validation and love from her parents she feels she has never received. Ghosts of the past still haunt her as she struggles to overcome and move on. Katie is full of goodness and sacrifice. The sacrifices she makes in this book will leave you breathless. It was an ending I didn't see coming. Just wow. I love reading anything by Sarah Eden and this series is one of my favorites. I jumped on the review request right away! My thanks to Shadow Mountain for allowing me to read and review books for them. They are a great publisher. 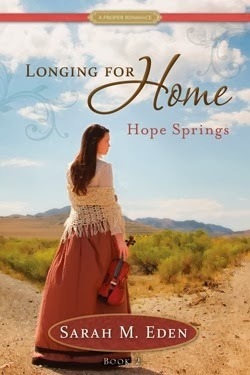 You can buy Longing for Home: Hope Springs at Amazon. It's hippity hop, hop time again! 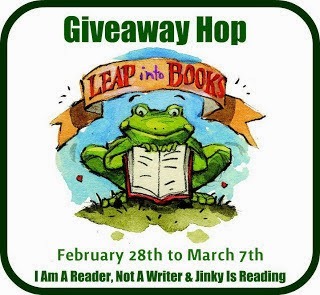 I LOVE giveaway hops! Thanks for hopping by and have a grand day! 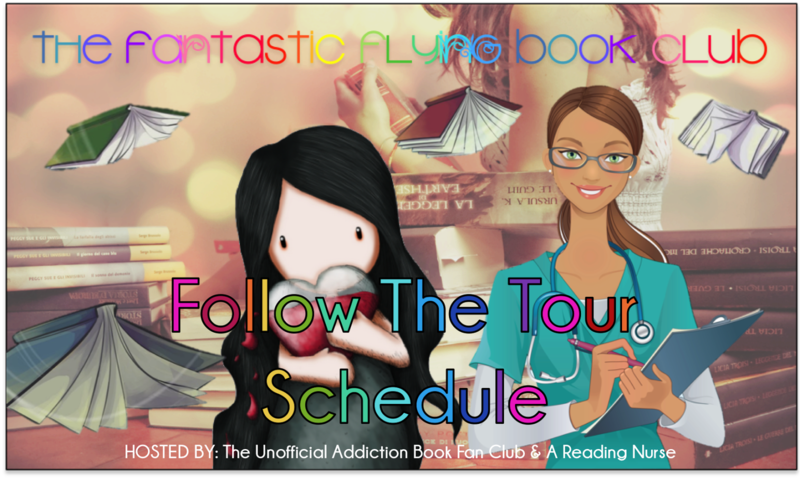 Solving for Ex blog tour and GIVEAWAY! This review is sort of a mixed bag for me. So, I'm going to break it down into like and dislike. Camera loving, picture taking, math geek! little math notes at the end of some chapters- so cute! If I could take out all the swearing and the disgusting party scene, this would be a book I could enjoy. I loved the whole modern concept of an old story, but I'm a firm believer that a book doesn't have to have the above mentioned dislikes to be a good book- especially for teenagers. Raised on comic books and classic novels, Leigh Ann developed an early love of science fiction and literature. As an adult, she rediscovered her love for not only reading, but also writing the types of fiction that enchanted her as a teen. Solving for Ex was born of her love for Jane Austen’s classics, and how they taught her that love stories could be funny and wickedly smart. There is just something about Kelly Oram's books. No matter what genre she is writing in, she has a way of making characters seem real. The conversations flow easily and the plot moves forward constantly, literally dragging you behind if you don't keep up. I love it. 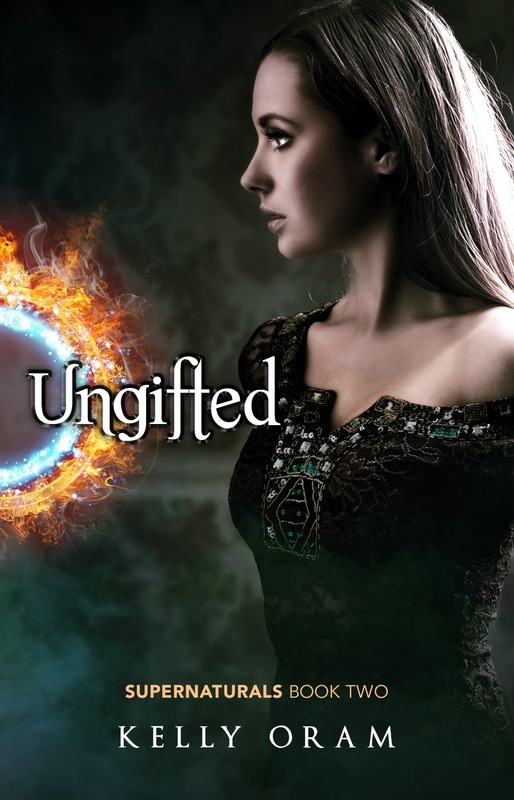 Ungifted is the second book in the Supernaturals Series. I was lucky enough to read the first book, Chameleon right before reading this book so I didn't have to wait at all. Phew! Ungifted, to me, had a different vibe than Chameleon. Rightly so though because Grace has a totally different vibe than Dani. Ungifted wasn't quite as intense as Chameleon but it suited Grace's personality and I liked that. Grace is more gentle and unassuming than Dani. She is less snarky for sure. But don't let that fool you into thinking that Grace is weak because she isn't. I'm really looking forward to the next book. It will bring Grace and Dani together and I'm thinking explosive things are in store. I'm excited. You can purchase Ungifted on Amazon. An Event NOT To Be Missed- Tyler Whitesides and the Jammin' Janitors Show! Tyler Whitesides, author of the Janitors book series, has created an amazing, live show that will be entertaining, educational, and fun for the entire family. With help from the “Jammin’ Janitors,” this show includes exciting music, and guest appearances by Chad Morris, and Brandon Dorman. (Morris is the author of the Cragbridge Hall series, and Dorman is the illustrator for Janitors, Cragbridge Hall, and Fablehaven). Whitesides will also be revealing the cover of his upcoming book, JANITORS 4, and he also plans to do a book signing following this event. When: Satuday, March 1, 2014 at 4:00 p.m.
Tickets: Free. Seating is first-come, first-served. First of all, I have to say that I love this cover. I think it's utterly charming. This story is like a sedate and quiet version of Footloose. Honestly. Think very slow build up with much of the same elements. Dancing is banned after a "situation" where young people get into trouble and dancing just happened to be around at the time. Daughter of the woman who banned the dancing rebels in any form she can. Of course she wants to dance. Boy moves into town, knows how to dance, teaches dance as a living and things start to get interesting. I didn't really get Julia and I didn't really like her until more of the mystery started unfolding- which was toward the end of the book. I wasn't sure exactly what Alec saw in her except her beauty. I did, however, really like Alec. He has a gentle manner and he thinks about things. He cares about people. Alec was the character that made this book for me. I do love the movie Footloose and I love dancing. So, the story held much appeal to me but it was just so slow moving. This is a Christian Fiction book, but I didn't find the Christian part of it to amount to much. It wasn't overbearing or the focal point. 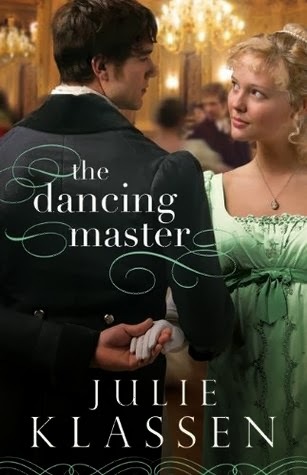 You can purchase The Dancing Master at Amazon. Series: Deviations (Book One) . "People don’t just create diseases to wipe out nations,” I argue. “The bubonic plague, typhoid fever, smallpox, the bird flu—would you like me to continue?” His voice rises as if he’s determined to make me understand, “They’re created in labs, then given to people to see who is strong enough to survive them. They’re trying to limit the amount of people in the world.” I watch him stand and turn for the door. “There’s a lot about your parents that you don’t know and the sooner you realize that, the sooner you can start doing something about it.” About Deviations From the day we’re born, we’re introduced to the marvels of modern medicine. It is amazing how a simple vaccine can prevent polio, hepatitis B, rotavirus—the list is almost endless. But, what if that were no longer the case? What if the government unleashed each virus for the sole purpose of controlling the population? Henly Sawyer finds herself discovering this truth for the first time, and as she does, the world that she thought she knew shatters. She wakes in Aurora, a quarantine miles from home, and is forced into a grueling reality. Henly strives to piece together the truth about her parents and their involvement in the unfolding chaos. With the help of her new friends, Renner and Dex, Henly sets out to understand a world that is now filled with Deviations—an infected group of violent, murderous humans. "The novel Deviations by Crystal C. Johnson is an unpredictable journey that brings you through very relatable experiences. Through the excitement and comedy found throughout, it is impossible to put down. Through the characters Crystal has been able to relate to her readers with the realistic feelings and actions that they portray. Throughout the entire novel there are countless ingenious surprises that you never see coming. Deviations is the amazing combination of the novels Divergent by Veronica Roth, Maze Runner by James Dashner, Hunger Games by Suzanne Collins, and Matched by Allie Condie." "I love the story line, the characters, the love story and the twist. I stayed up reading and couldn't put it down." I fell in love with the characters and was fighting for their survival right along with them! 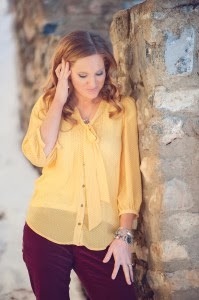 Crystal graduated from BYU-I with a BA Degree in Political Science and a minor in English. Along the way she acquired a pretty amazing husband who has helped me create and realize so many dreams. Who knows how many times he's reminded her that she needs to sleep to continue living. Crystal also has a baby boy who fits perfectly with his name - Cash. Right now she resides in Canada and besides the rainy months she loves it. 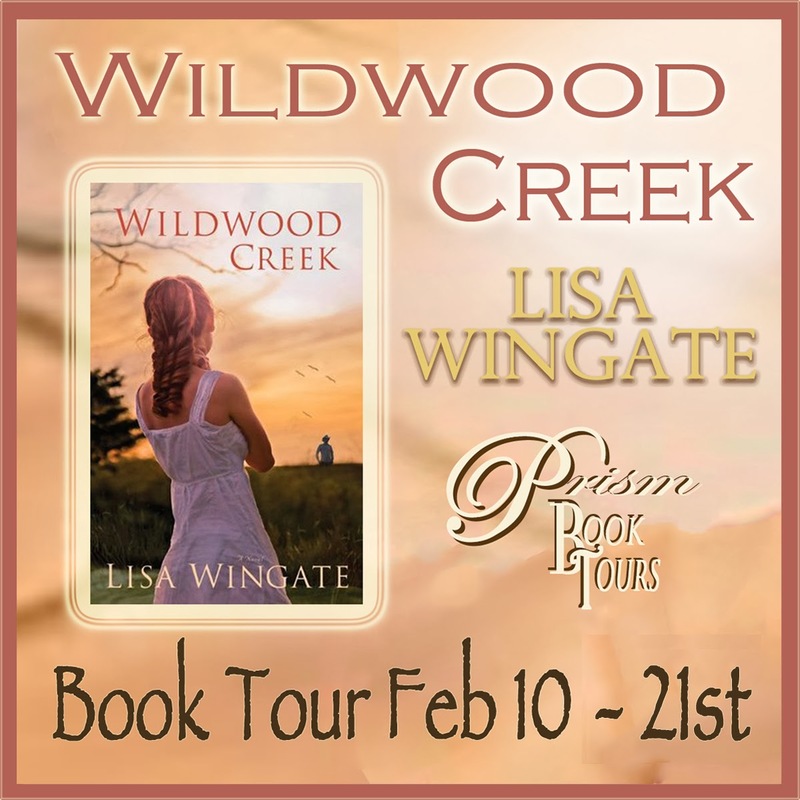 Wildwood Creek by Lisa Wingate: Review, Interview and Giveaway! This was an interesting book. It had a mysterious feel to it - sort of like standing in a moving fog. I always enjoy books that have a historical feel to them and this book bounces back and forth between the present time and the past. 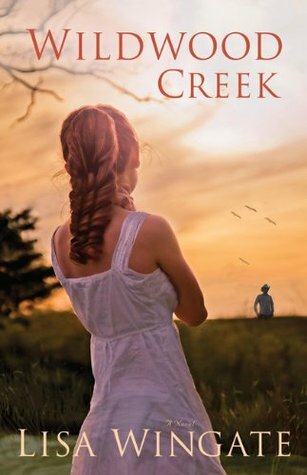 This is labeled as a Christian Romance and while there were Christian elements to it, I felt like it was really light. The romance part was also very light. The story unfolded slowly, I sometimes had a hard time staying invested but I always wanted to know more and would push through because of that. The last third of the book picked up tension and speed and it was the part I enjoyed the most. The plot of this book was good- the stories, the mysterious element. I actually liked the bounce back in history part of the book the best because I felt more of an emotional connection there. The changes in time were sort of a mixed bag for me because I felt like I got a bit of both worlds but not enough of either to be completely satisfied. Bonnie Rose had to be my favorite character and I wished through the whole book that it was her story being told in more detail. She was the person I was most interested in and the person I was rooting for. Like I said, the ending was my favorite part. The mystery climaxed, the action picked up, the romance finally entered and I got a Happily Ever After. It was a good way to end the book. What were your first writing efforts? I’ve loved to write for as long as I can remember. My older brother was a good writer, and when you’re the youngest in the family, you want to do what the older kids do. When he won a school award for his poem, “The Bee Went Under the Sea,” I was so impressed by his literary brilliance (and the blue ribbon) that I immediately went to my bedroom and created my first book, The Story of a Dog Named Frisky. Frisky’s tale was cleverly illustrated and published on manila paper in multiple editions which sold very well in the grandparent market. Who have been your favorite authors and how have they influenced you? In terms of classics, I have so many favorites. I love the rhythm of the prose and the wisdom of Eudora Welty and Zora Neal Hurston. I love the sense of place and the intermingling of both the humorous and the profound that is so present in Mark Twain's works. What I have learned, sitting at the knee of these and other timeless writers, is exactly this – the stories that drive deepest into us are those that tell us things we already knew, that crystallize truths we’ve felt but not yet framed into words in our own minds. When a story pulls something from within the reader, it is a kidnapping, in a way. A piece of personal truth is forever tied to that story. I think that's what we all want as writers. It’s what we seek to create on the deepest levels beyond just entertainment. The best stories both draw on life experience and expand it to deliver meaning. Have you had help along the way? A special first grade teacher, Mrs. Krackhardt, put the idea of being a real writer into my head. She found me writing a story one day at indoor recess, and she took the time to stop and read it. When she was finished, she tapped the pages on the desk to straighten them, looked at me over the top and said, “You are a wonderful writer!” From that moment on, in my mind, I was a writer. The strange thing is that I was only in her class for a few months before we moved again, but during that time, she left an indelible mark on my life. It’s funny how we have defining moments in our lives, and that time in Mrs. Krackhardt’s class was one of mine. For years, I couldn’t have told you what she looked like, or whether she was a young teacher or an old teacher, but I could have told you that she said I was a wonderful writer. When I left her class, she wrote on my report card, “Keep that pencil working with that wonderful imagination, Lisa!” and “I expect to open a magazine and see you listed among the contributors.” I still have that report card, and I never forgot those words, or the way her confidence in me gave me confidence. Publishing is a difficult business, but I always believed I could do it, because my first grade teacher told me so. I was also fortunate to grow up in a family of great storytellers. I classify them among my writing mentors, as well. Nights gathered around the outdoor fire on my grandparents’ farm were backyard lessons in weaving together stories in a way that could hold an audience breathless until the final line. Some of those stories were funny, and some were sentimental, but the older folks in our family could hold court with a tale about going to the grocery store or getting a haircut. Even from a very young age, I remember being not only enamored with their stories, but fascinated by their skill. Reality and fiction were seamlessly intertwined to create a weave that was flawless. They never let the truth get in the way of a good story, and it was impossible to tell which was which. Both were equally enthralling. The thrill of bobsledding combines with spiritual insight in this inspiring book by Jeremy C. Holm. Through sharing his unforgettable experiences as a bobsledder and coach, his message will broaden and enlighten your understanding of the gospel of Jesus Christ. "Bobsledders are thrill-seeking lunatics. I mean, who in their right mind throws themselves down an icy chute at faster-than-freeway speeds in a fiberglass or carbon fiber sled? Racing down an icy track at 80 miles per hour makes you think of many things. Jeremy C. Holm thought of God. While racing professionally as a bobsled pilot, he learned valuable lessons that transformed his bobsledding experience from something worldly into a journey of faith in God. Now as a head coach, Jeremy shares his personal experiences from a competitive life on the ice and the spiritual fire he gained while coping with the temptations and trials of life. This message of faith and personal courage will inspire you to come closer to Jesus Christ and reach for eternal life." I really enjoy reading books about ordinary people doing extraordinary things. Professional athletes are interesting- and bobsledders? Especially interesting. The Olympics are on right now so my fascination with all things winter sports related is especially high. 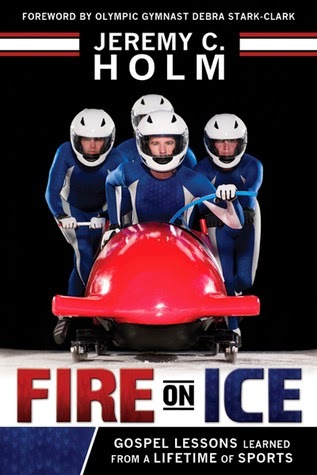 I am going to watch the bobsledders this next week and I'm going to be remembering some of the cool lessons I learned from this book. Fire on Ice is an LDS based religious inspirational book. Author Jeremy Holm has taken his years of experience as a professional athlete and coach and related it to things of a spiritual nature. Not only was it cool to learn more about the sport of bobsledding, it was cool to see how Jeremy took his knowledge of bobsledding and the gospel and weaved them together. There is a wealth of knowledge and experience in this book. There are A LOT of chapters in this book. The book is pretty thick and it wasn't one I could sit down and read all the way through. Some of the ideas were a bit repetitive and I thought they could have been combined and condensed into less but overall this was a good read with important reminders of what we are trying to accomplish here on this earth. The cross over between gospel themes and sports really helped this book move along. There are a few pages of pictures in the middle which brought a lot of the personal experiences in the book to life. My thanks to Cedar Fort for allowing me to read and review this book for them. You can purchase this book at Cedar Fort and Amazon. Kelly Oram Books are on SALE!! Only .99 cents!! In celebration of the paperback release of Amazon Best-seller The Avery Shaw Experiment, YA author Kelly Oram is having a special Valentines Day sale and Giveaway. From science geeks & serial killers to warlocks & rockstars, no matter your flavor, Kelly Oram has a fictional boyfriend for you! Make the most of this holiday of love and cuddle up with a boy who's sure to make you swoon, will never talk back, and will never ever break your heart! Visit KELLYORAM.COM to see which boy is right for you and enter the giveaway. 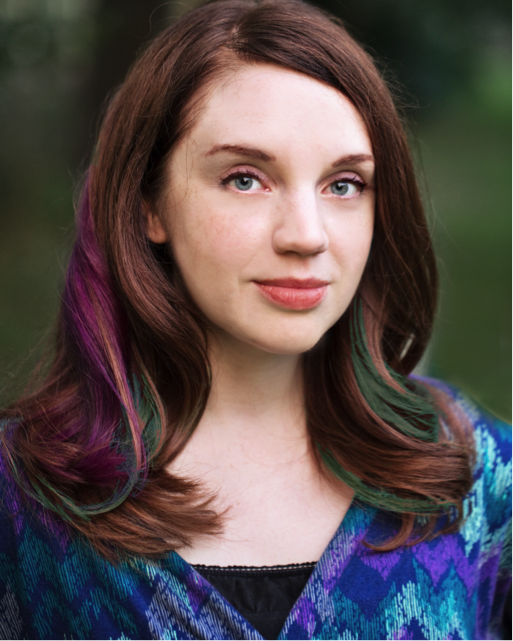 Kelly Oram wrote her first novel at age fifteen–a fan fiction about her favorite music group, The Backstreet Boys, for which family and friends still tease her. She's obsessed with reading, talks way too much, and loves to eat frosting by the spoonful. She lives outside of Phoenix, Arizona with her husband and four children. 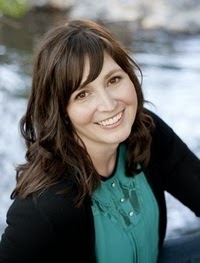 Connect with Kelly on Facebook, Twitter, Goodreads, & her Blog. Happy Valentines Day! I have the perfect book to tell you about today! 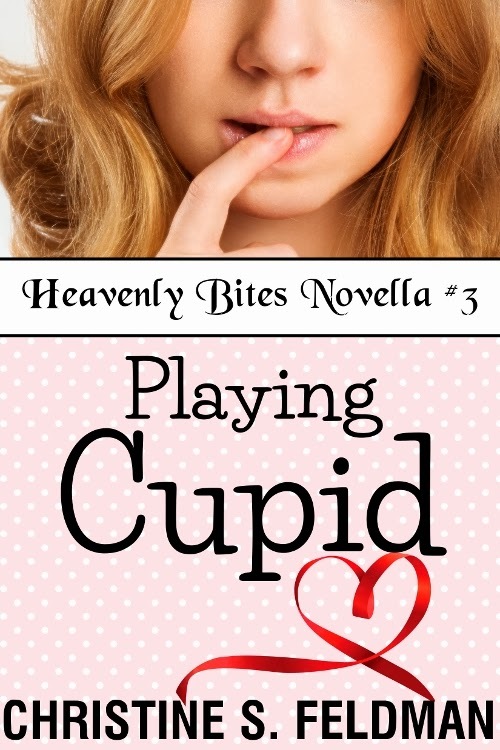 Playing Cupid is a short, sweet, romantic novella that is sure to put a smile on your face. Christine Feldman's Heavenly Bites Series is so fun and I've loved all of them. I'm so happy she lets me read and review for her. I always look forward to reading her books. I particularly love the main character's first name. It has a sort of awesomeness about it. . . haha This is actually the second book I've read this week with my name (spelled exactly right) in it. Cool beans. This book is all about pre-judging people. Doyle and Aimee are experts at it. It's a shame, really. So much time wasted. But somehow Aimee and Doyle find their way through the muddled mess of judging someone wrongly. Aimee is spirited and loving. She has no problem going for what she wants. She knows how to live and love. She's fun and I loved her. And then there was the sweet romance of Gran and Uncle. So, so sweet. It made me smile. So, all in all, a perfectly sweet, clean romance for the holiday of LOVE. Find this book at B&N and Amazon. After witnessing her fiancé's murder, Jayne Gardiner won't let herself be caught on the wrong side of a gun again. But a disastrous first lesson in self-defense has left her with a wounded cowboy. She insists on nursing the handsome stranger back to health—whether he wants it or not! Getting waylaid by a wild shot has definitely put a hitch in Seth Collins's step—and plans. Duty may call him home, but Seth can't resist lingering on Eden Valley Ranch to teach the English beauty to shoot. And when a shadowy figure from Jayne's past resurfaces, Seth's sudden urge to protect her has nothing to do with duty. Cowboys of Eden Valley: Forging a future in Canada's west country. You gotta love when an inspirational romance novel starts out with the girl accidentally shooting the guy. Ha! Luckily Seth is pretty forgiving considering the hole in his leg. Jayne sure does feel sorry about shooting poor, unsuspecting Seth. All she really wants is to learn to shoot so she doesn't feel so helpless ever again. Watching her fiance die was tough. Lucky for her if she had to shoot someone, it was a handsome cowboy with a very strong sense of duty. So strong it kind of gets in the way a bit. But better that than an old, ugly stranger with half his teeth missing, right? 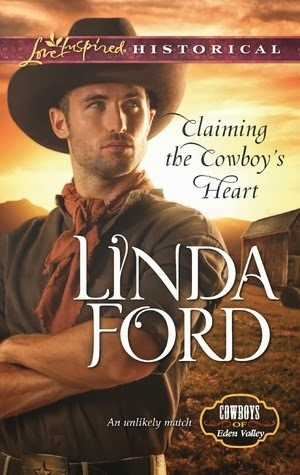 I'm such a sucker for handsome cowboy novels. Some of my favorite things in the book were the frolicking deer, the mysterious key and the friends and family of Jayne. I liked both Jayne and Seth a lot. The friendship that grew between them was real and they helped each other work through the tough stuff. This was a sweet story of growing love and softening hearts. Harlequin's Inspirations line is a good one and I'm glad they let me read and review for them. You can find Claiming the Cowboy's Heart at Amazon or the Harlequin site. I just have to say right up front that this is one of my new favorite albums. I'm in love with it. I've been making a lot of long car rides lately and this album is the one I always pop in first and listen to at least twice. It's love. 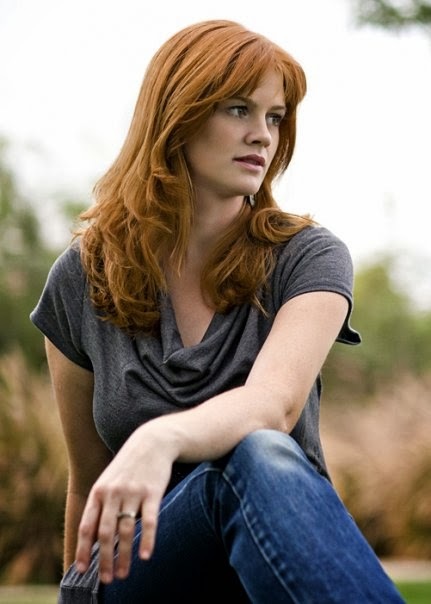 Stephanie Boyd's voice is rich and easy to listen to. I love the lyrics to her songs. They are meaningful and uplifting. You just can't go wrong with messages and music that makes you feel good and remind you of the things that are the most important. While I really like all the songs on this album, my favorites are Good for the Soul, Enlisted and Waiting for my Rainbow. Just talking about it makes me want to listen to it right now! I hope you will check out the music sampler below and get a feel for the album. Links for purchase are above. :) Music makes me happy. Growing up in New York, Stephanie was drawn to the power of music from a young age. 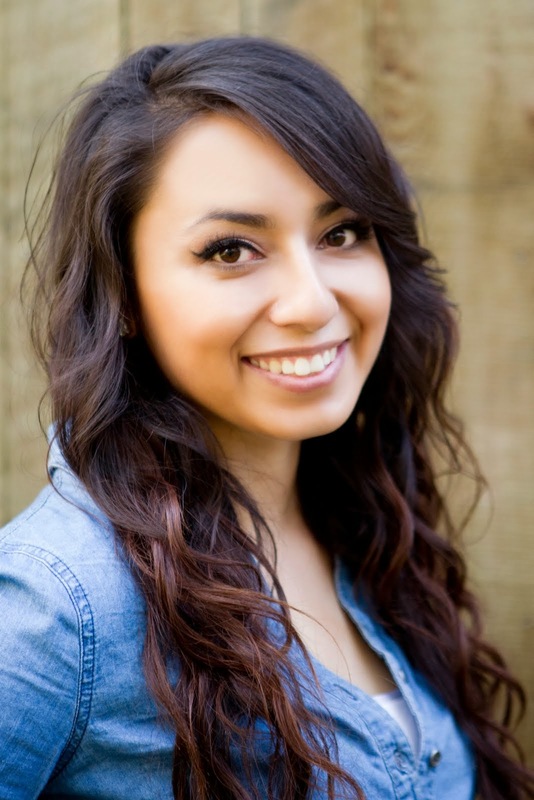 While she was originally trained in classical singing, Stephanie always gravitated towards more upbeat and modern music. 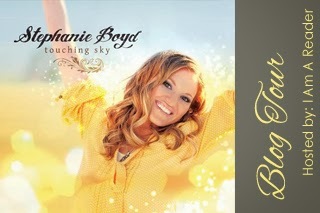 With her debut album, Touching Sky, Stephanie combines her love of traditional messages with fresh music. Since moving to Utah, Stephanie has worked closely with well-known artists including Jenny Phillips, Tyler Castleton, and Michael McLean. She was also featured soloist with Sally DeFord. She has a master’s degree in environmental science she and her husband have enjoyed building and selling businesses together. Stephanie is married with four children (and one on the way!) and likes to read, garden, run and bake fun birthday cakes. Porcelain Keys by Sarah Beard + a Giveaway! Porcelain Keys was such a pleasure to read. It wasn't quite what I was expecting going into it but don't ask me what I was expecting because I don't really know. ha. Actually, I think I was expecting the usual YA book but what I got was something deeper and more substantial. This was a tender and emotional story of a girl trying to escape the hurt to find hope, healing and love. I loved the music aspect of this book. Music has always been a part of my world and my emotions. Music has the power to sway your emotions and take you to faraway places. Aria has a gift within her for music. She feels the pull to play and when she does, her emotions feed into the music and make it come alive. Aria is a character you will feel connected to. She is both vulnerable and strong. Her tragedies will have you wishing for a happily ever after ending. There was real depth to Aria and to this whole story. She has to fight her way out of the darkness that threatens to consume her. There is something admirable in that. I walked away from this book feeling satisfied and happy. Aria's story stayed in my mind well after I had read it. I love when that happens. You can purchase Porcelain Keys on Amazon or at Cedar Fort. 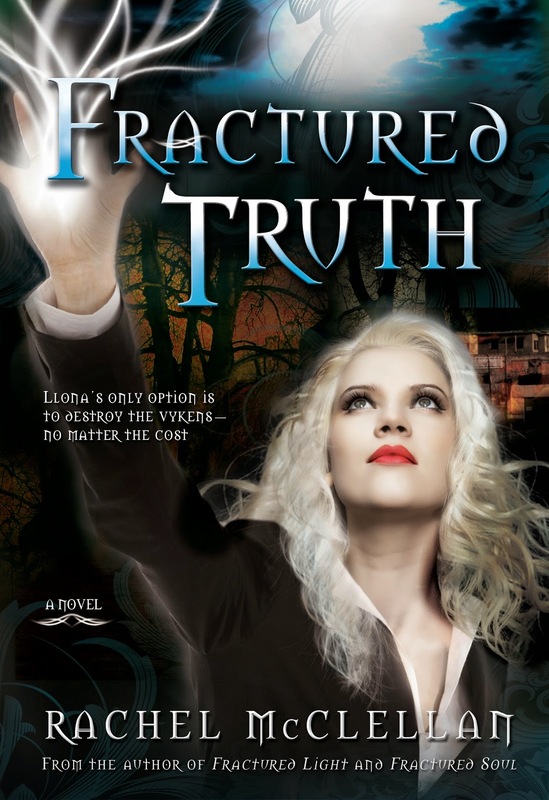 It's finally time to reveal the cover for the much anticipated YA novel Fractured Soul, book three in the Fractured Light series. Pre order your copy on Amazon now! Romance Is In the Air Blog Hop!